Has it felt like October to you? Probably not unless you live in southern Florida. Most of the region has been experiencing temperatures that are well above normal in both daytime highs and nighttime lows. If this continued, it would no doubt be a record-setting month. But with a cold front coming through the region in the next couple of days, we could see below-normal temperatures by the end of the week. 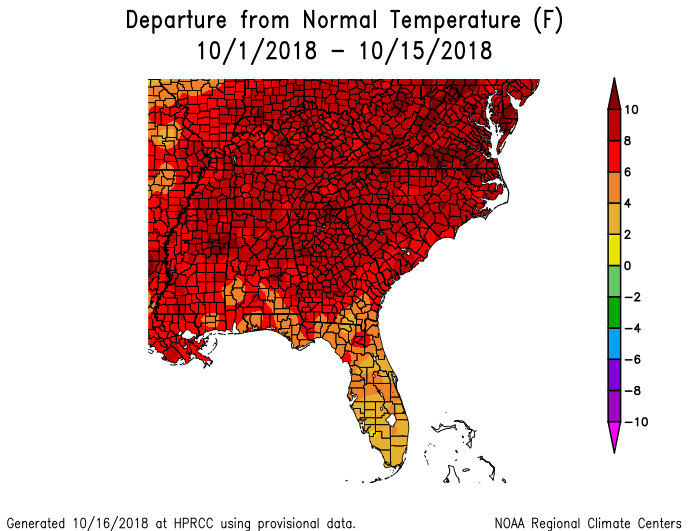 It will take a lot of cold days to balance out the early hot conditions, though, so I expect the region will end up above normal when October is done. The rainfall this month so far has been dominated by Hurricane Michael. 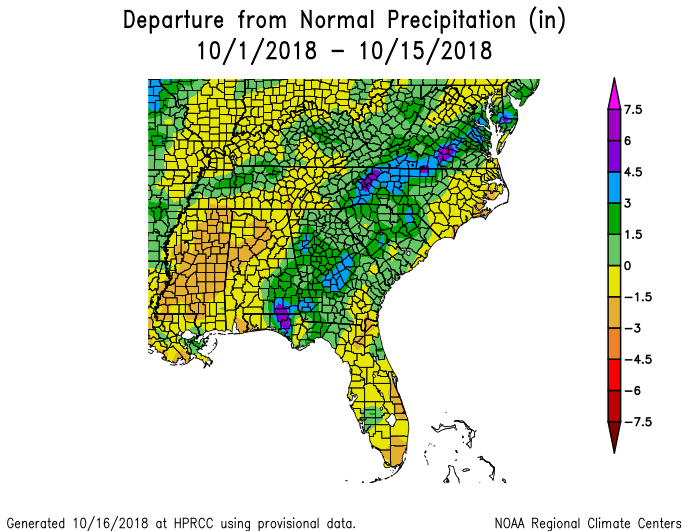 It did not drop nearly as much rain as Hurricane Florence did in September because of its forward speed, and it hit hardest in different places than Florence, but the swath of high precipitation is clear from the month-to-data maps.